There’s surely nowhere else which exudes romance and magic like the Lake District. Long regarded by Britain’s best–loved poets, authors and thinkers as a place which inspires romance, the Lake District can’t be knocked for not oozing enough charm and beauty. So, what better place for a romantic Valentine’s Day break – or even to bend down on one knee and pop ‘the’ question? It has been a lovers’ haven for centuries and more recently a favourite with celebrities. Only last year Pippa Middleton said “I do” to James Matthews during a romantic staycation in the Lake District. Pooley Bridge also saw Sir Paul McCartney’s romantic declaration to former wife Heather Mills. It is also believed that Bill Clinton proposed to Hillary during a visit to the Lakes. As you can see, the lakes has had its fair share of famous loved-up couples heading to the hills for romance. They include the Beckhams and One Direction’s Harry Styles with pop princess Taylor Swift, who took a Buttermere breakaway. 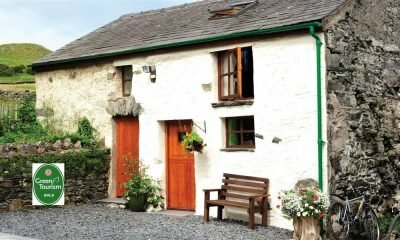 But rather than having to share space in a hotel with lots of other loved-up guests (and those not in love, just on business or a friends’ weekend away), how about whisking your loved-one to your very own private and secluded holiday cottage in the Lake District? Outside, views of the majestic towering mountains, the idyllic lakes, the sprawling lakeshore lawns, while inside pure unadulterated luxury – the sumptuous bedrooms, the roaring fires, the balconies. Sit in the hot tub sipping champagne under the stars, a night-cap on the shoreline before returning to your lakeside lodge – all deliciously secluded, just the two of you. 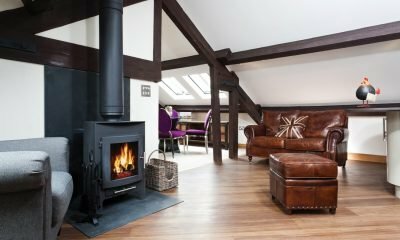 Imagine the face of your loved-one lighting up as you step through one of these Lake District luxury cottages – oh, the whisper of romance, the oozing of serenity and the air of amour. 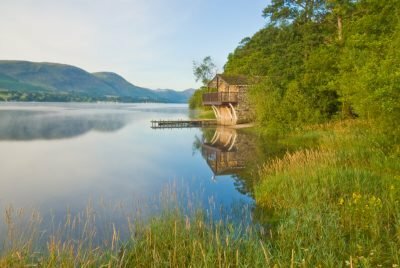 Where to pop the question in the Lake District? If you’ve already decided to get down on one knee in the Lake District – well done, a great choice! But, if you’ve not made up your mind, the Lake District surely speaks for itself? 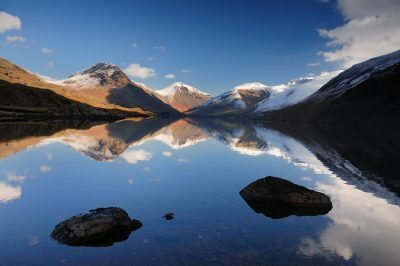 Wastwater – Voted Britain’s favourite view ( pictured above, left). Surprise view near Ashness bridge, overlooking Derwentwater – sublime scenery. Aira Force, near Ullswater – one of the Lake District’s most impressive waterfalls. On the shores of Ennerdale Water – a very pretty spot. Peel Island, Coniston – an island with wooded rocky headlands and secluded sandy coves. 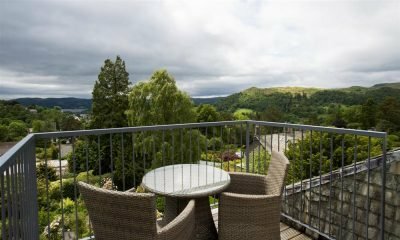 Orrest Head – If you don’t fancy a ‘big’ walk in the lakes with the precious gem in your pocket, then this is the perfect place if you want a scenic and lofty view. Only a 30-minute stroll will see you gazing as far as the eye can see – even the Isle of Man on a clear day! 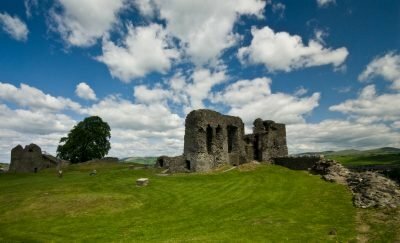 A castle or a ruin – whether Medieval, Norman or Roman, there are many castles dotted around Cumbria, including Ambleside, Ravenglass and Kendal. High Sweden Bridge, Ambleside – definitely a bridge with a gorgeous view. 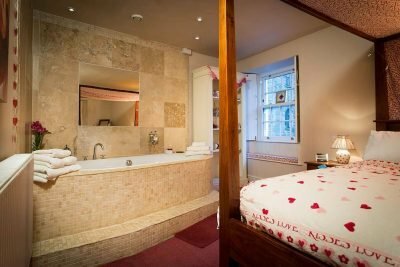 In one of our romantic homes – perhaps over a meal, in the hot tub with champers, on the terrace or lake shore with a majestic mountainous backdrop, by a roaring fire…. endless possibilities. At a romantic namesake – Darling Fell, near Loweswater or Hartsop, near Brotherswater. Over a fine meal at one of the top Lake District restaurants – such as the Michellin-starred L’enclume in Cartmel. Whisk, Whisper and Wedding Bells! There’s no excuse not to book it all right now and whisk your loved-one off their feet in a romantic’s dream. 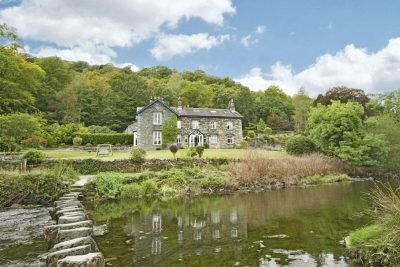 Whether you want Traditional Country cosy or lashings of modern luxury, at the foot of a fell, by a lakeside or close to a village or town, our romantic homes are perfect for your special occasion and will leave you absolutely armoured. Many of our romantic cottages have been awarded VisitEngland Gold Awards because of their exquisite excellence and some of our 100-plus love nests accept up to 3 dogs. To wow your loved one this Valentine’s Day, book a Romantic Lake District Break. Have you stayed with us and have a Lake District love story? We’d love to hear it, just comment here!